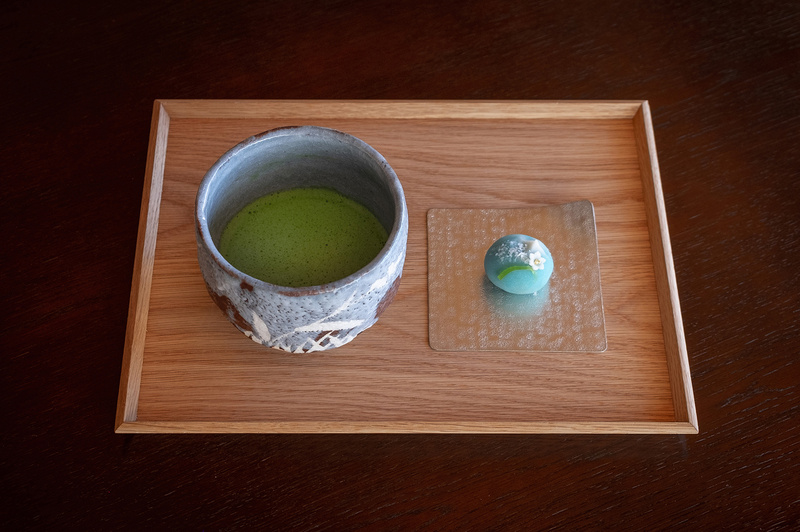 At a corner of the Museum’s 1st-floor galleries there is a casual style tea room where you can take a break from viewing the artworks to enjoy a set of green tea and seasonal Japanese sweets. The room has tables and chairs, so anyone can enjoy delicious tea without having to sit on one’s heels like in a formal tea ceremony. 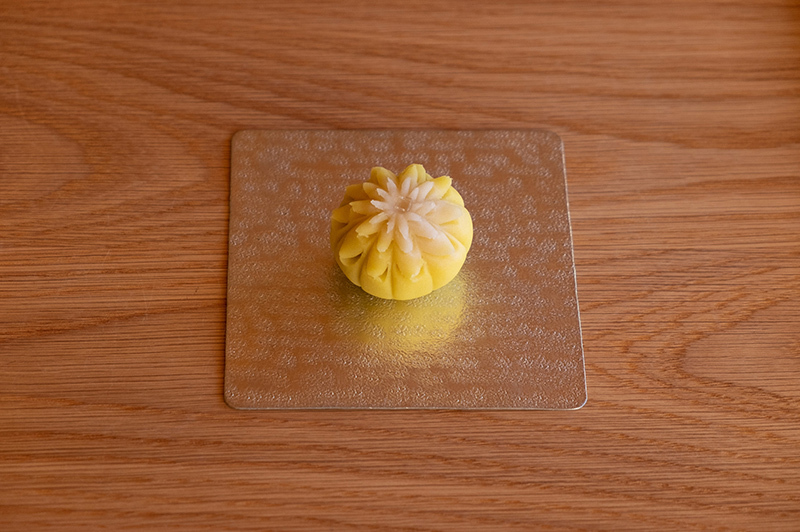 We prepare fine Japanese fresh confections to go with each time of the year. Enjoy them along with the beautiful view of the grounds and pond in the changing seasons from the tea room window. 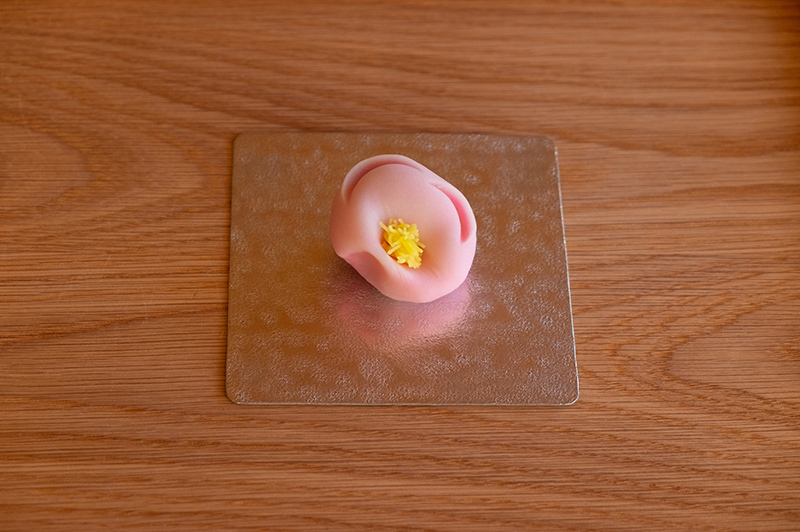 A fine Japanese confection made by the time-honored Murakami Confectionary of Kanazawa in the image of the Museum’s entrance hall ceiling decoration.